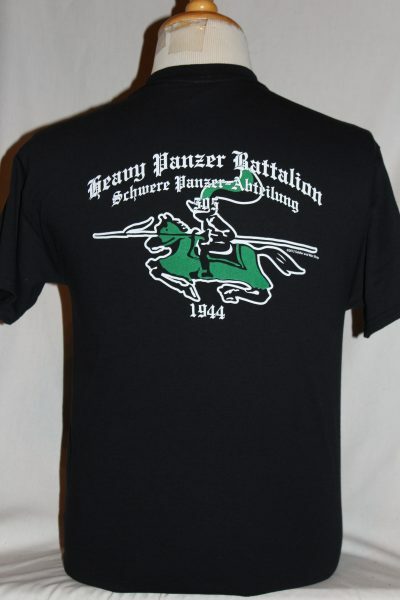 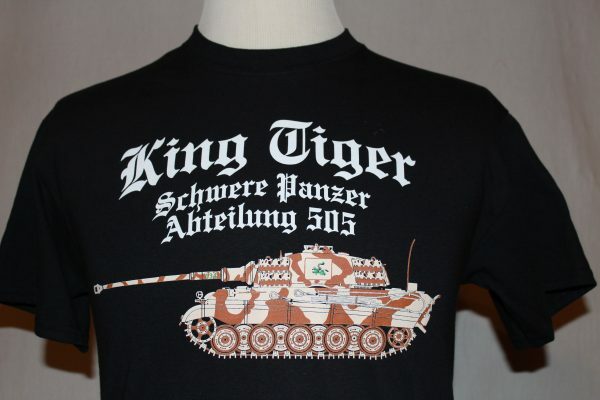 The Heavy Panzer Battalion 505 King Tiger T-Shirt is a two sided print in black. 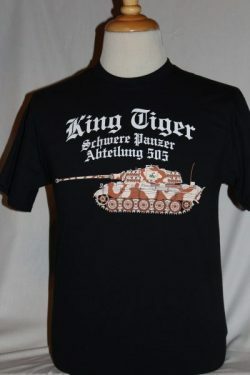 Front Design: Side view of a King Tiger with text. 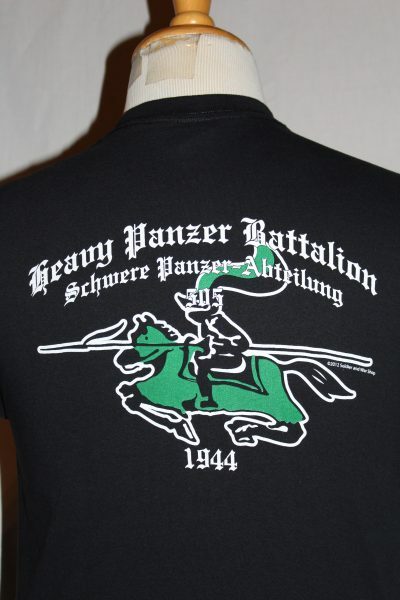 Back Design: The 505 Charging Knight Heavy Panzer Battalion Insignia is displayed with text.